Available in Light Beige or Black. Available by the metre or as a 200 metre roll. 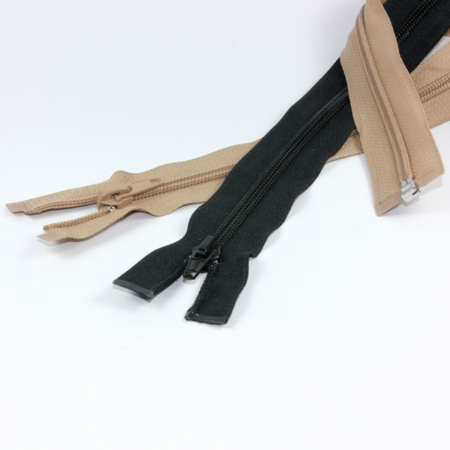 This continuous zipping (No.5) is used with the zip sliders (No.5), (also supplied by AJT Supplies). 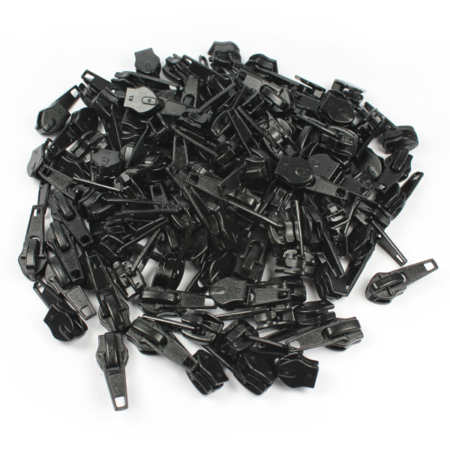 Continuous zip and zip sliders (No.5) are mainly used for furniture seat and back cushions, can be sewn into the furniture to allow an opening for the filling to be inserted and removed. 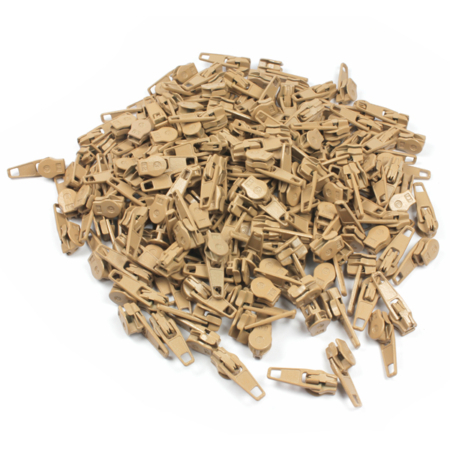 Please be aware that this continuous zip (No.5) may not work with zip sliders that you may already have that was not purchased by AJT Upholstery Supplies. 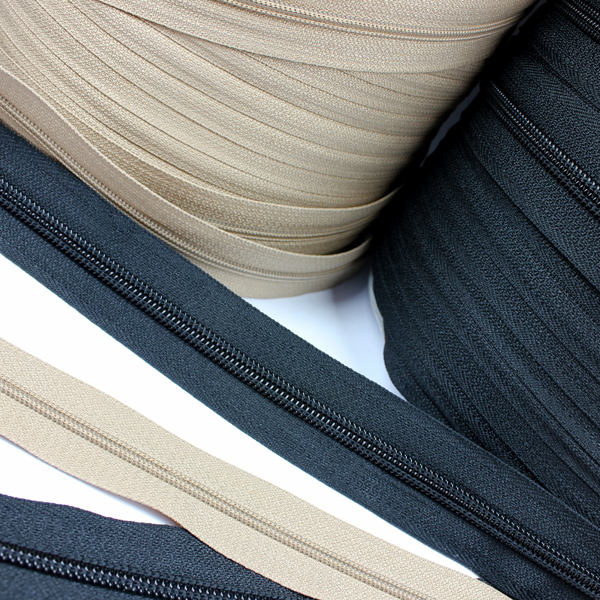 If you require a sample of our continuous zip to try sliders that you already have, please contact AJT Upholstery Supplies on 01384639990. You will be required to pay a small postage and packing charge. Please see below for more information on how to affix zip sliders (no.5) to our zip. Step 1 – Notch the end: Start by cutting you continuous zip to required length and cutting a V out of the end of the continuous zip. 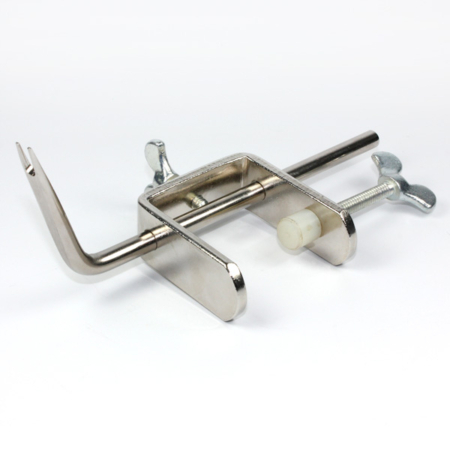 Step 3 – Align Slider with continuous zip: Put the ends of the zip teeth into the front (double opening) end of the zip sliders until the teeth come together and stop at the back of the slide. Step 4 – Pull Slider onto Zip: Grab hold of the two pointed ends of the continuous zip while you pull the zip slider up the zip.